• Historical & Forecast data of Egypt Air Conditioner Market Revenue for the Period 2010-2022F. • Historical & Forecast data of Algeria Air Conditioner Market Revenue for the Period 2010-2022F. • Historical & Forecast data of Morocco & Western Sahara Air Conditioner Market Revenue for the Period 2010-2022F. • Historical & Forecast data of Sudan & South Sudan Air Conditioner Market Revenue for the Period 2010-2022F. • Historical & Forecast data of Libya Air Conditioner Market Revenue for the Period 2010-2022F. 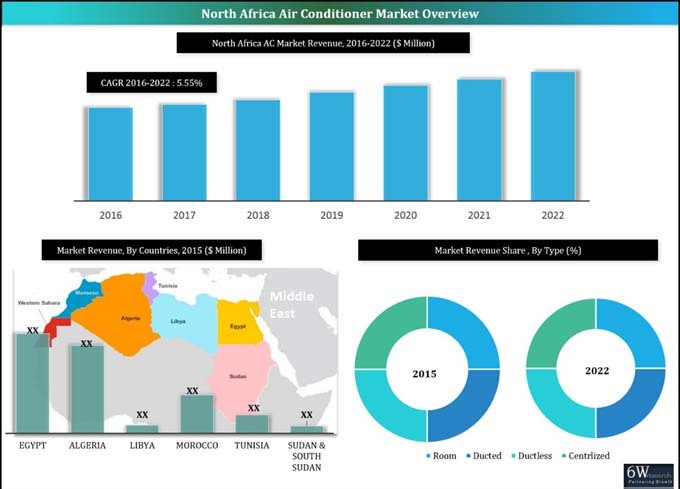 • Historical & Forecast data of Tunisia Air Conditioner Market Revenue for the Period 2010-2022F.